Aura Camera / Blog / Where Can I Get My Aura Photographed And Read? This article is written based on people’s belief in metaphysics and some aura camera owners’ opinions. Aura energy photography is becoming very popular. People have started to believe in its benefits and want to get the best reading possible. 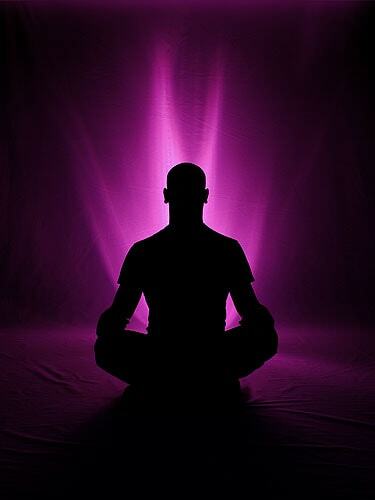 For this to happen, you need to find a great aura reader to get your aura photographed. An aura reader will be able to get your aura read and analyze your aura photograph to understand aura imbalance and the dark patches in it. They may recommend changes in lifestyle to help heal the aura and to promote feeling your best. Unfortunately, there are several people out there who don’t really have a true understanding of the aura and still claim to be professionals. Advice from such people can be ineffective and sometimes lead you astray. That’s why it’s important to choose the right aura reader and here’s how you can do that. Before you get your aura photographed or book a reading, it’s a good idea to understand what it is and how it works. A basic understanding of the aura would allow you to ask the right question and determine who’s giving you faulty advice. Of course, the Internet won’t always give you the most accurate information on aura reading. In fact, you might even find contradictory information, which can be confusing and misleading. However, you’ll at least have some idea about auras before you visit an aura reader. Some well-known aura readers have their own websites where you can see your aura online. You can visit those sites and find out as much as you can about their techniques and knowledge. A well-written and maintained website would indicate a successful and knowledgeable aura reader. You might want to hire someone like that for your first aura reading. Most websites would give the option of contacting the readers. You can send them an email or call them before you book an appointment. That would allow you to discuss the reading with them and gauge their skills to some extent. It never hurts to investigate a little bit. After all, you want to get the best advice possible and improve your aura. Many aura readers will also have aura photography equipment, so you don’t need to worry about finding a good aura camera photographer. If you have friends who have visited aura readers before, ask them for recommendations. They would be able to tell you about their experience and how much a particular consultant helped them. Many people stop believing in aura reading because they get a bad consultation. You should ensure that your first experience with an aura reader is good, and yields the right results. That’s why asking your friends about their personal experience with the readers would help. If the first aura reader’s advice wasn’t as effective as you would’ve liked, you can always get a second consultation. Some professionals have better insight and experience than others. It’s possible that the second aura reader might spot something that the previous one missed. Don’t stop believing or give up on aura reading just because it didn’t work out the first time. If you choose the right aura reader and incorporate their advice into your lifestyle, you may feel better and have a clear aura.